In Steam Summer sale of 2017, I had bought Left 4 Dead 2 just for Rs. 64. I played it once or twice and after that never played it again, as it was installed on Windows. I no longer use Windows on my laptop. 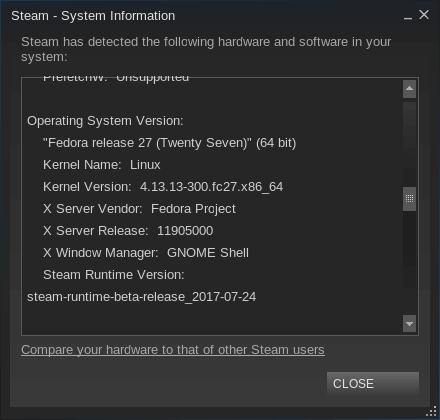 Left 4 Dead 2 is also available for Steam OS (works on other Linux distros too), so I decided to install it on Fedora. The game was lagging and I was getting 20 to 30 FPS even with low settings. 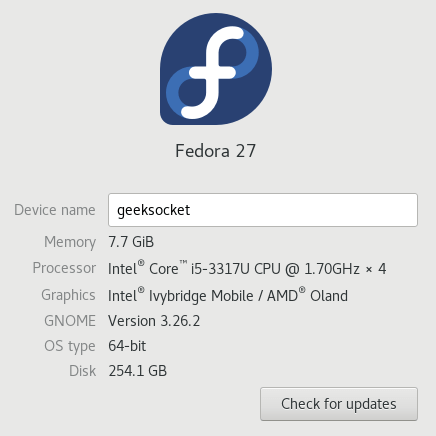 While reading negativo17.org I realized that the game was not using dedicated GPU, which is AMD Radeon™ 8000 M. It was using integrated GPU instead. First check if your machine has drivers for your Graphics Card, you can check this by going to Settings -> Details, it should show two graphics card one is integrated and other is dedicated. $ DRI_PRIME=0 glxinfo | grep "OpenGL renderer"
After doing this I got nearly 60 FPS and game was not lagging. The shell script is used to set the required paths and launch the binary of game. Running the whole command in terminal, showed some error related to radeonsi_dri.so after searching for a while and trying all the available solutions with no success, I found this forum post. The solution provided there (deleting the libgcc_s.so.1 provided with game files) was working fine, which means it was using libgcc_s.so.1 from somewhere else. ldd shows the all the files on which the current binary is depending, but it does not show the exact path to the files. libgcc_s.so.1 is symlink of libgcc_s-7-20170915.so.1, if we load this file while starting the game, it will use correct library without modifying any game files. 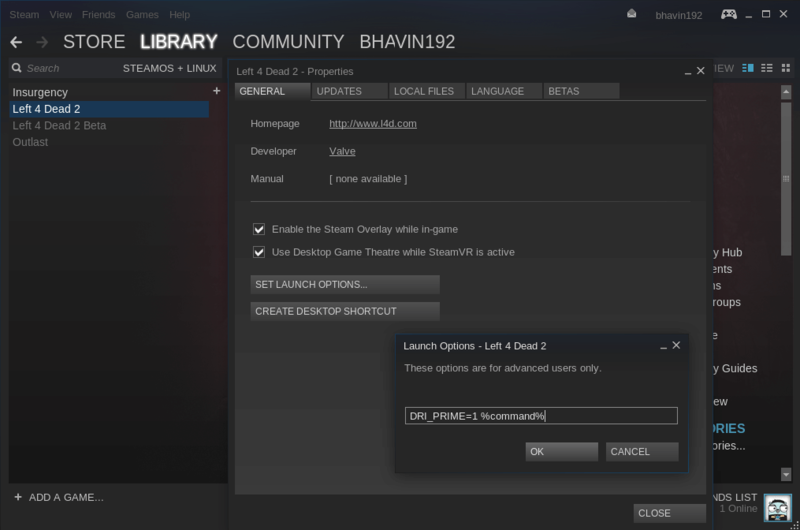 Steam has command line tool which is used to setup servers for some games. This tool can be used to download games for other platforms too. If you want to download games for Windows machine you can do by using this tool. Simply follow the instructions given on official page. You will need app_id of the game which can be found by visiting the game page on Steam. Once you get the files, copy dirt-rally folder to the steamlibrary folder on Windows machine where all the games are present.